Here you can download resume materials, full scripts, and other shiny things, as well as buy books. In the hit 2016 Shotgun Players production of Hamlet, seven actors learned all the roles. Each night, in front of the audience, they drew from Yorick’s skull the characters they would play, then had five minutes to get ready before show time. Playing HAMLET Roulette explores what eventually emerged as the production’s true subjects: failure, expectation, possibility, and democracy. In these pages, the production’s director, actors, designers, and audience explore the wide ranging implications of these subjects both in and out of theatre. How might a critical consideration of creative experiences with failure expand our expectations of what is possible in our democratic societies? Published in 2017 from EXIT Press. On a weekend getaway to the new summer home Joie and Freddie have built in the mountains north of San Francisco, their disabled son, Erik, is lured into the river by a mysterious Rat Wife and drowns. Freddie’s sister, Andi, arrives with news of a shocking family secret, and Andi’s hopeful suitor, Bernie, is as surprised as anybody when everything turns upside down – including San Francisco itself. Freely adapted from Ibsen’s Little Eyolf, this new play grapples with marriage, family, class, nature, technology, and how our expectations can derail our deepest hopes and wishes. Originally produced by Aurora Theatre Company. Published in 2017 by EXIT Press, with a foreword by actor Mariah Castle. 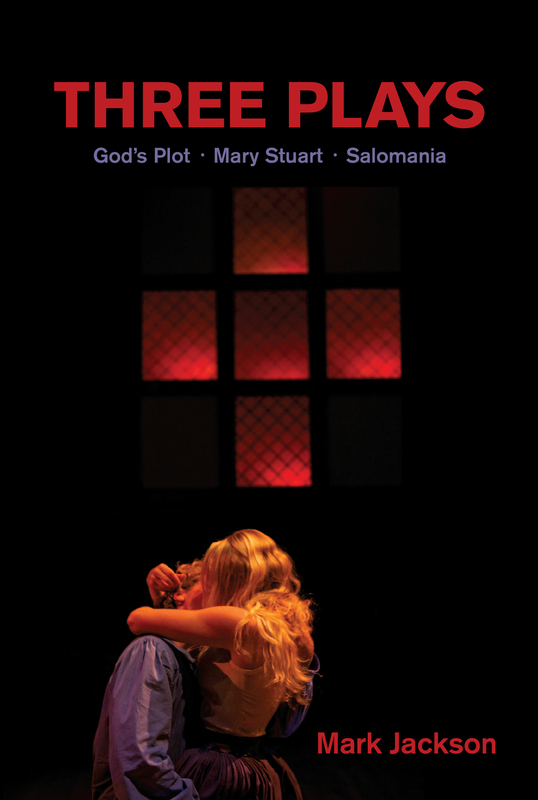 Published in 2012 by EXIT Press, THREE PLAYS is the second collection of my plays and includes God's Plot, Mary Stuart, and Salomania, with a foreword by Patrick Dooley, artistic director of The Shotgun Players. 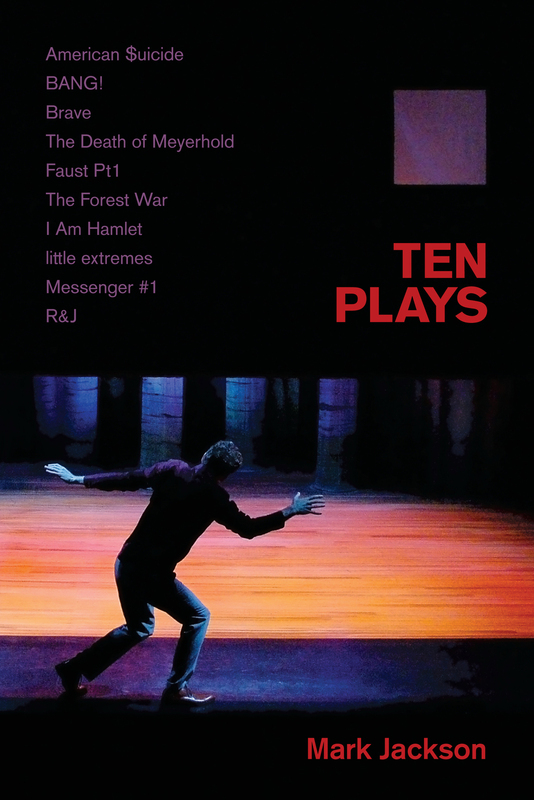 Published in 2010 by EXIT Press, TEN PLAYS is the first collection of my plays. The volume includes American $uicide, BANG!, Brave, The Death of Meyerhold, Faust Pt1, The Forest War, I Am Hamlet, little extremes, Messenger #1 and R&J, with a foreword by critic Rob Avila. — San Francisco Bay Guardian, December 2010 article on the Year in Literature. The scripts posted here may vary from their latest drafts. These plays are fully copyrighted. For inquiries about productions, readings or workshops, or for any other use of these plays in part or in whole, please click on over to the CONTACT page on this website. Summaries of the plays may be read here. Many thanks! Jenny Jenny GO GO GO. A very adapted contemporary adaptation of the Iphigenia myth. Nope, she does not die in the end. 4 or 3w, 3m. Multiple locations. Who Is Heiner Müller Or The End of History. Original play. 2m, 2 boys, 1 girl. Single set. Included in Cutting Ball Theater's 2015 Risk Is This... Festival. Lulu Monster Tragedy. Adaptation of Wedekind's Lulu plays. 2w, 1m. Single set. The Rats. American adaptation of Hauptmann's city tragicomedy, Die Ratten. 6w, 4m. Multifunctional set. Liliom. Adaptation of Ferenc Molnar's play. 4w, 4m. Multifunctional set. The Inspector. Adapted from Gogol. 4w, 13m. Cast size may be reduced with doubling and gender balance shifted. These plays are fully copyrighted. For inquiries about productions, readings or workshops, or for any other use of these plays in part or in whole, or for information on plays not listed here, please click on over to the CONTACT page on this website. Summaries of the plays may be read here. Many thanks! Messenger #1 (Hunger & Thirst, NYC, 2017. The Catamounts, Denver CO, 2012. Art Street Theatre, 2000) National, class, family and news media politics collide. The Oresteia from the messengers' point of view. 3w, 3m. Multifunctional set. Little Erik (Aurora Theatre Company, 2016) Contemporary adaptation of Ibsen's Little Eyolf. 3w, 2m, 1 boy. Multifunctional set. Salomania (Aurora Theatre Company, 2012) WW1, infamous dancer Maud Allan, and a crime of the century. 2w, 5m. Multifunctional set. God's Plot (Shotgun Players, 2011) Religion, politics, theater, and the origins of the American character. 2w, 8m, musicians. Multiple locations. Mary Stuart (Shotgun Players, 2010) When personal and national politics collide. 2w, 6m. Multiple locations. Faust Pt1 (Shotgun Players, 2009) Book smarts in conflict with personal responsibility. 2w, 4m. Multiple locations. American $uicide (Encore Theatre Company, 2007) The American hunger for spectacle and public adoration. 4w, 4m. Multiple locations. The Forest War (Shotgun Players, 2006) An ancient play for modern times. 5w, 8m, 1 boy. Multifunctional set. The Death of Meyerhold (The Studio Theatre, Wash. DC, 2005. Shotgun Players, 2003) The death of free thinking in politically ambiguous times. 2w, 9m, 1 girl. Multifunctional set. I Am Hamlet (Art Street Theatre, 2002) Hamlet sets the record straight. 1w, 1m. Single set. Io Princess of Argos (Encore Theatre Company, 2002. Art Street Theatre, 2001) Fate versus freedom. 2w, 2m, musicians. Single set. BANG! (The Play Café at Edinburgh UK, 2004. Art Street Theatre, 1999) Ain't no room for divas on the Fringe. 4w, 2m. Single set. Brave (PCPA, 2003. Art Street Theatre, 1998) Bad choices in a time of social flux. 3w, 3m. Multifunctional set. R&J (Art Street Theatre, 1996 & 1997) Woah! Slow down and things might go differently. 3w, 2m. Bare stage with minimal props. little extremes (Art Street Theatre, 1995) Talk to the people you love more or bad things will happen. 2w, 2m. Bare stage with minimal props.